A leader of House moderates says his group has tentatively agreed to an offer from conservatives to help young “Dreamer” immigrants stay in the U.S. legally. California Rep. Jeff Denham says details remain unclear. He says there will be no final accord until moderates see it in writing and they agree with all the specifics. Denham says that under the proposal from the conservative House Freedom Caucus, young immigrants could get a new visa to stay in the U.S. for eight years. He said he was uncertain about what would happen to the Dreamers after that. He says moderates are willing to accept provisions to strengthen border security, including the full $25 billion to build President Donald Trump’s proposed wall with Mexico. Conservatives declined several requests to comment on the proposal. 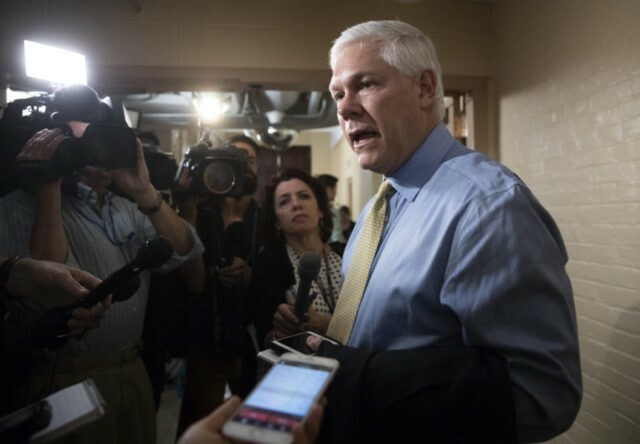 House Republicans have left a private meeting on immigration without an agreement between conservatives and moderates on the divisive issue. But party leaders say they’ll try crafting a compromise. They hope they can head off unhappy moderates trying to force votes on bills providing a chance for citizenship for thousands of young immigrants brought to the U.S. illegally. After the two-hour session, House Speaker Paul Ryan told reporters that leaders will try writing a measure that follows President Donald Trump’s immigration proposals. They include possible citizenship for the immigrants, full financing for his proposed wall with Mexico and restrictions on legal immigration. Democrats and many moderate Republicans have opposed curbing legal immigration. Divided on immigration, House Republicans are huddling privately as leaders try pushing them toward consensus on the issue. The leaders are racing the clock and trying to defuse a civil war within the party that could hurt them in November’s elections. GOP lawmakers were meeting Thursday morning in the Capitol basement. A day earlier, some said they expected House Speaker Paul Ryan to suggest ideas for ending the standoff between moderates who want a pathway to citizenship for “Dreamers” brought into the U.S. illegally as children, and conservatives opposed to that idea. There have been no indications that a compromise is at hand. Without agreement, moderates seeking to force election-season votes on the issue will gain momentum. They are close to gaining enough signatures on a petition to force immigration votes later this month. House leaders want to push fractured Republicans toward consensus on immigration, racing the clock as they seek to defuse a GOP civil war threatening to wound their hopes for keeping control in November’s elections. Republicans plan a closed-door meeting on the topic for Thursday morning. But there are no indications that a deal ending the party’s internal struggle over immigration is at hand and no definitive detail of where middle ground might be. If leaders fail to find a solution, that would give momentum to moderates seeking to stage election-year votes in just three weeks on the issue, a showdown that leaders want to head off. The major hang-up in GOP talks has been how to offer citizenship to young immigrants brought to the U.S. illegally as children.